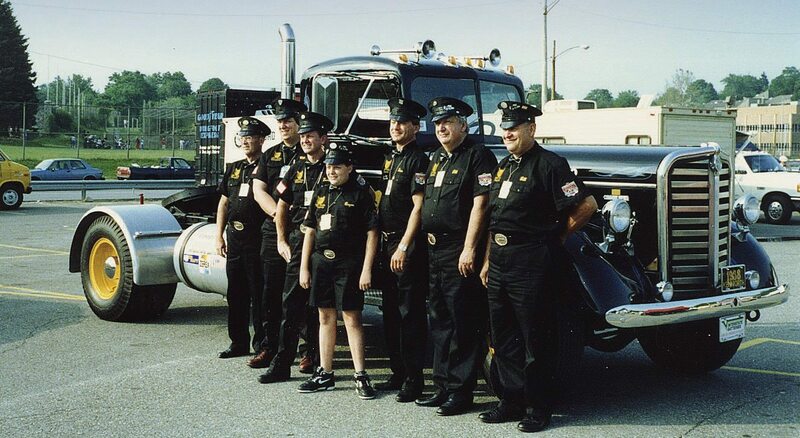 CAT Scale Company provides the professional truck driver a reliable, accurate, and certified weight through the cooperative relationship with our truckstop partners. We will guarantee the highest quality at a fair price. We will ensure that weighing on a CAT Scale will continue to be the #1 choice for the professional driver. For the first time, drivers had access to scales that could weigh their entire truck and trailer unit all at once. 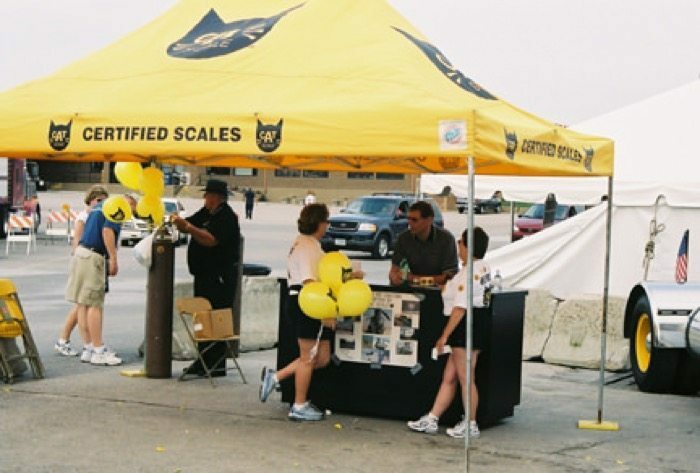 Drivers could get a weight on their vehicle that was guaranteed accurate with CAT Scale’s unconditional guarantee. Plus, CAT Scale was there to stand behind them if there were any problems. Since then, CAT Scale has grown to the largest truck scale network in the world, with over 1,800 locations throughout the U.S. and Canada. Now CAT Scale is the one place drivers can trust to COVER THEIR REAR with a no excuse guarantee. Mr. 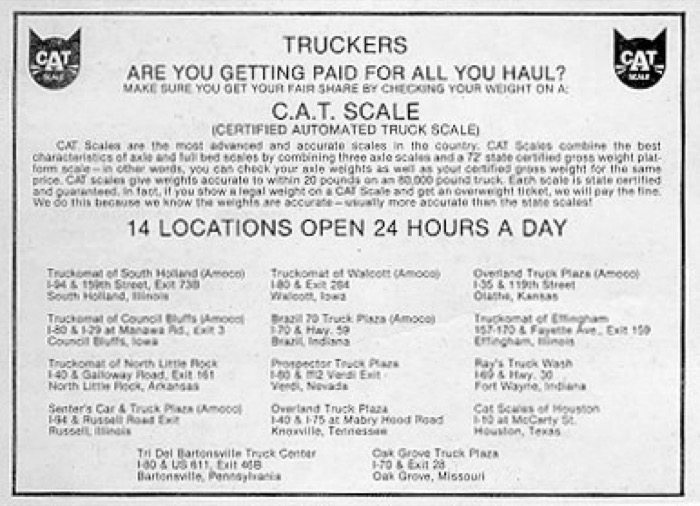 Moon installed the first CAT Scale in 1977 in South Holland, Illinois. In 1988, there were 28 CAT Scales in existence. At that time the company began to rapidly expand. 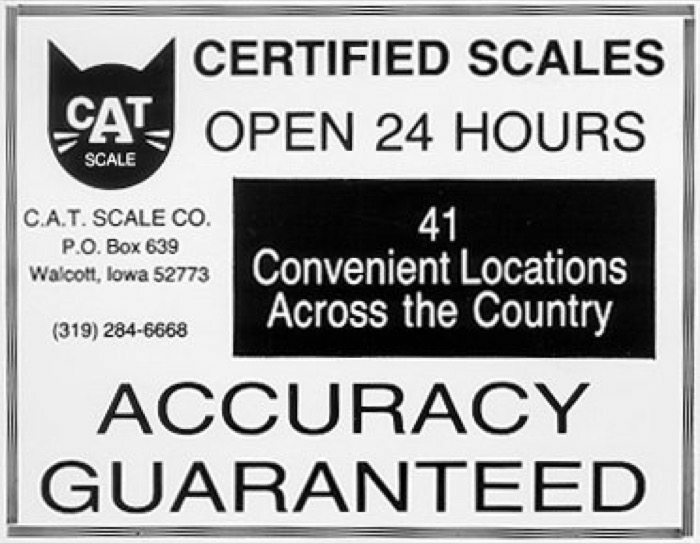 Now there are over 1,800 CAT brand scales across the United States and Canada with more opening all the time. 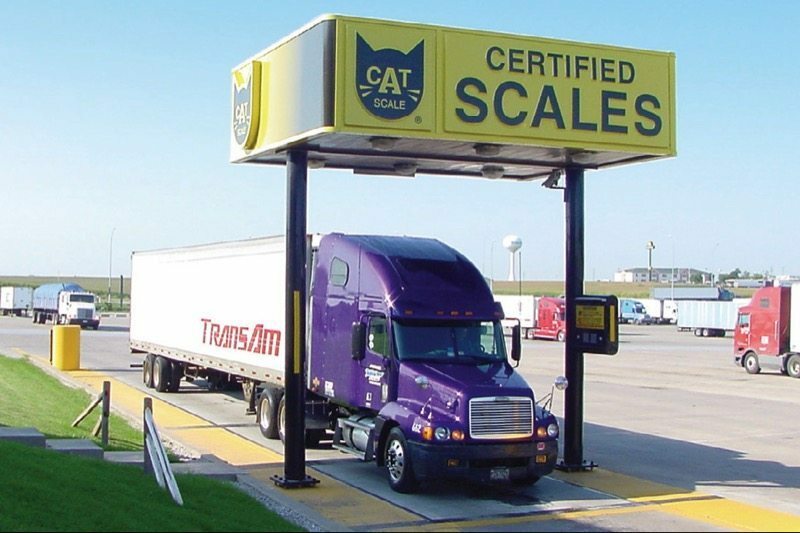 With the stringent weight regulations and potential fines associated with violating such regulations, CAT Scale Company provides a much needed service to the trucking public. CAT brand scales are covered by an unconditional guarantee. If a driver receives an overweight fine after weighing legal on a CAT brand scale, CAT Scale Company will either pay the fine or appear in court with the driver as an expert witness in order to get the fine dismissed. In either scenario, the driver is covered by the guarantee and does not have to pay the fine, as long as they weighed on a CAT brand scale prior to receiving the citation. There are now 41 CAT Scale Locations! Advertisement from early 1990’s. 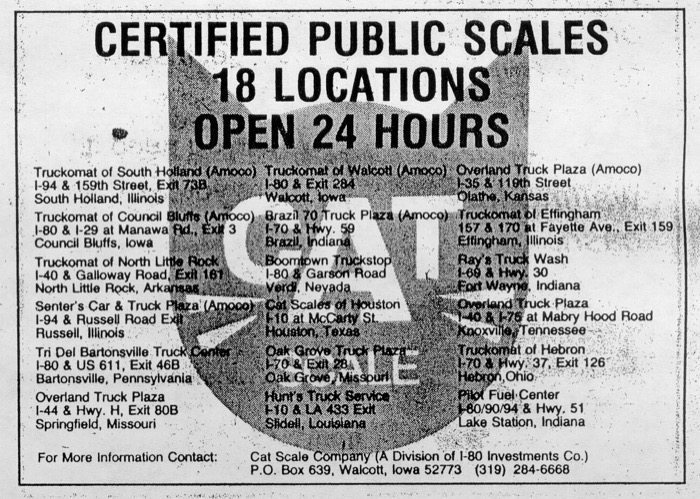 Promoting our 14 CAT Scale locations in 1986. 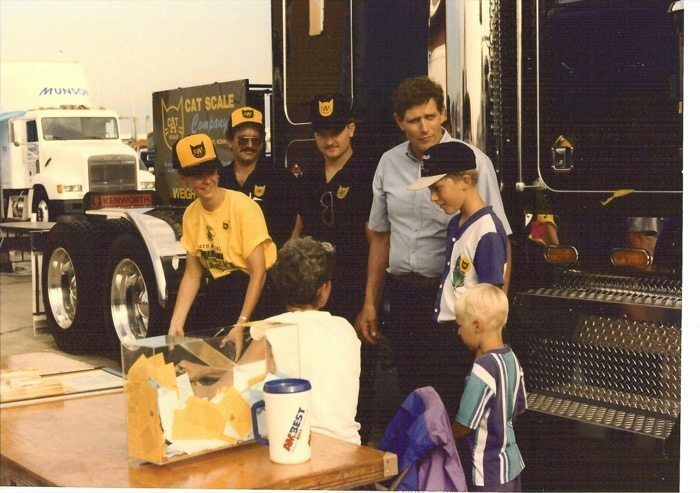 1990 Great Race Road Rally Crew. 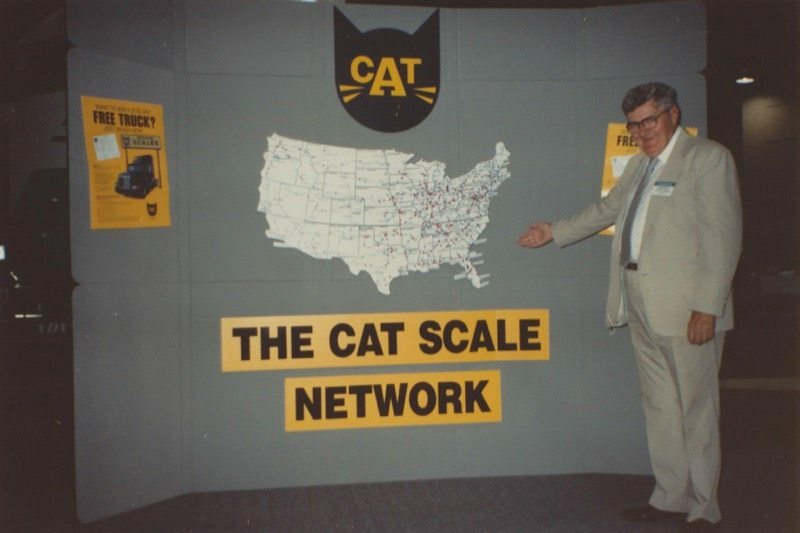 Carroll Feuerbach promoting CAT Scale at a Trade Show in 1991. 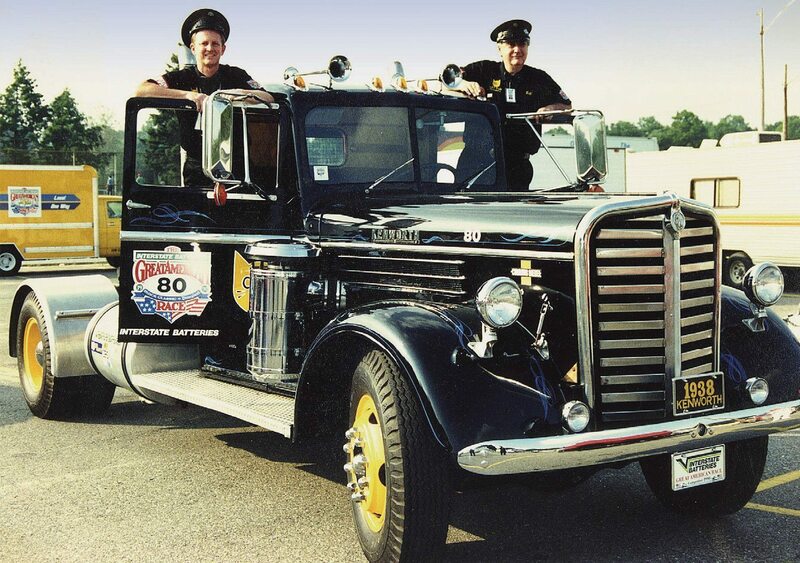 Tom Stanford and Bill Moon ready to participate in the Great Race Road Rally in the 1990’s. 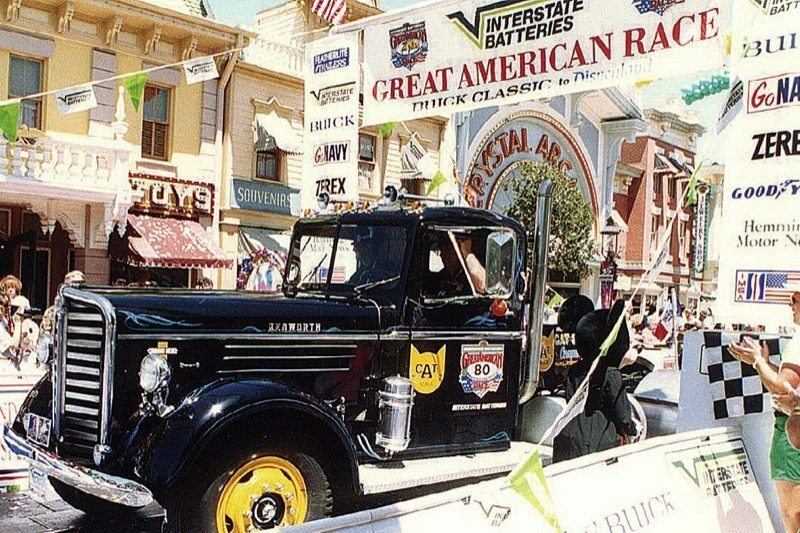 The CAT Scale Team complete the Great Race Road Rally for the day! Greeting customers and giving away balloons at the Walcott Trucker’s Jamboree! Opening our 1,000 CAT Scale in Kinston, NC. 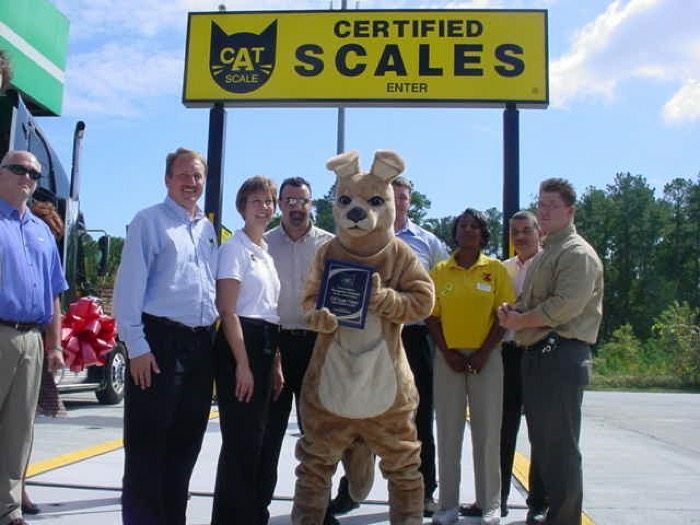 CAT Scale is always growing with over 80 locations opening in 2015.